Do you have an air conditioner wall unit in your office on Maui? If you work from a small office and plan on renovating your work space, you should consider installing an air conditioner wall unit. Although for many, it may seem like an expensive and unnecessary investment, an AC unit installed in your office comes with more benefits than cons. In addition to keeping you cool during hot summer days, air conditioner wall units on Maui are necessary and can have a positive impact on your work environment. 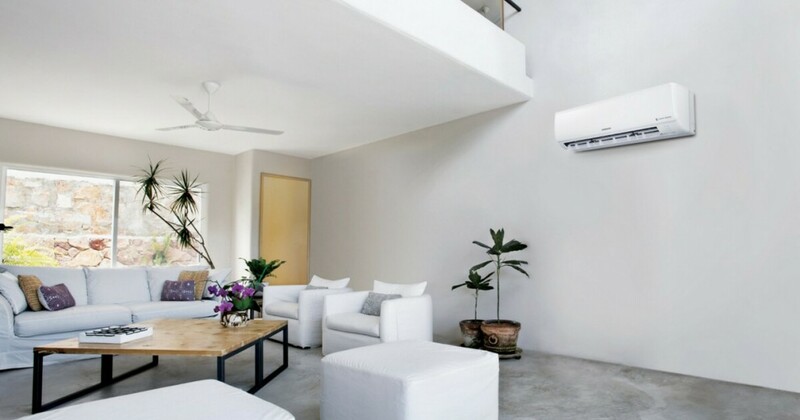 Here are 7 great reasons why you should install an air conditioner wall unit on Maui. Maui is well known for its hot climate, so having an AC unit for your office is the best way to keep yourself and all your employees cool. During very hot summer days, opening all windows or doors is just not enough anymore. Viruses are known to spread much faster in warm and humid environments. Therefore, installing an AC wall unit could mean the air quality in your office will significantly improve. In addition, being able to keep your windows shut reduces the chances of bugs getting in. A great benefit that comes with installing a new AC unit in your office is showing your employees you care about their well being. A boost in morale is always a good thing within a company. Although it may seem unusual, installing an AC unit will lead to your employees being thankful, which in turn could lead to them being more productive. When the temperatures outside go through the roof, keeping your employees cool could result in a nice boost in productivity. Working in a hot environment is quite uncomfortable, but better working conditions lead to a more productive staff. It may seem odd to associate an air conditioner wall unit on Maui with protecting the equipment inside your office. However, your electronic equipment may get overheated because of excessively high temperatures. Therefore, an AC unit can help keep the temperature down and you can avoid damage caused by high temperatures. Moist and damp atmosphere can quickly cause the apparition of mold. An air conditioner wall unit on Maui can prevent that from happening. Having an AC unit installed and working in your office not only improves the quality of the air, but it also creates a healthier working environment. If you use your office to run a small business, you have the responsibility to provide a safe and comfortable working environment for your employees. And installing an air conditioner wall unit on Maui can help a great deal.